On this episode of Video Games 2 the MAX, Sean Garmer and Marc Morrison comeback from another unintended delay having played some major games. Marc talks more about World of Warcraft: Battle For Azeroth and gives final thoughts about We Happy Few. While Sean has a long list of games to go through. He gives his initial thoughts on Dragon Quest XI, right as the embargo lifts a week before launch date. While he also discusses Ninja Gaiden and Metroidvania lovechild, The Messenger. He tries not to burn too many things talking Overcooked 2. Sean gives a major Suplex to baddies in Guacamelee 2. Tries not to die a lot in Death’s Gambit. Goes back in time with Freedom Planet, and more. The guys also touch on some things announced around Gamescom 2018. Including release dates for major games like Devil May Cry 5 and Shenmue III. 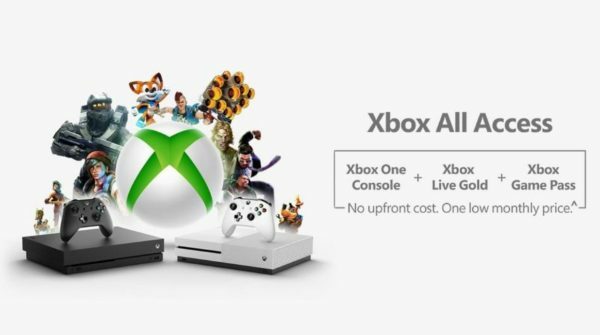 There’s also a big discussion on what the introduction of Xbox All Access could mean for how we buy gaming consoles in the future. Will this turn out to be a boom for Microsoft? And could the other two big companies try this as well? They also discuss Twitch Prime doing away with paid ads. Great sales numbers for Nintendo Switch in July. Plus, even more games like Diablo III, Grandia I & II, A Hat in Time, and maybe Super Mario Bros. U are hitting the console too. They close things out discussing some of the huge games coming out this week like Yakuza Kiwami 2, The Messenger, Donut County, Strange Brigade, and more. Sean Garmer has a long history with Video Games. He started his love of games watching his brother play Super Mario Bros. on the Nintendo Entertainment System. His first system was the Super Nintendo and he literally spent days at a time playing Super Mario World. He later fell in love with Pokemon for the Gameboy and thus his Japanese RPG fandom was born. Sean has channeled that love of games into reviewing them. Not only that, he also analyzes the games industry on the Video Games 2 the MAX podcast, and writing about it on various sites. Sean pretty much plays any kind of game nowadays, but he still prefers his love the JRPG. Marc Morrison brings years of experience writing about games and of course playing them. He currently writes a Top 8 column every week at 411mania and also reviews games as well. Marc plays different kinds of games and he takes analyzing games to heart. Marc is also a big fan of the classics and collecting games. He’s constantly looking for deals whether it is at the local flea market, on Steam, or another digital network. Marc also brings a practical look at the Entertainment realm and is happy to spend time talking Doctor Who or another TV show.